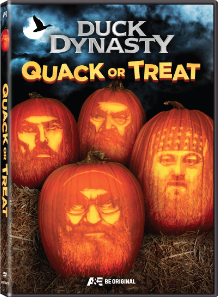 Title Copyright: Duck Dynasty © 2012-2014 Cover Art and Design © 2014 A&E Television Networks, LLC. All Rights Reserved. Duck Dynasty, A&E, Be Original and A+E Networks are trademarks of A&E Television Networks, LLC. Distributed by LIONSGATE® under license from A+E Networks Consumer Products™.